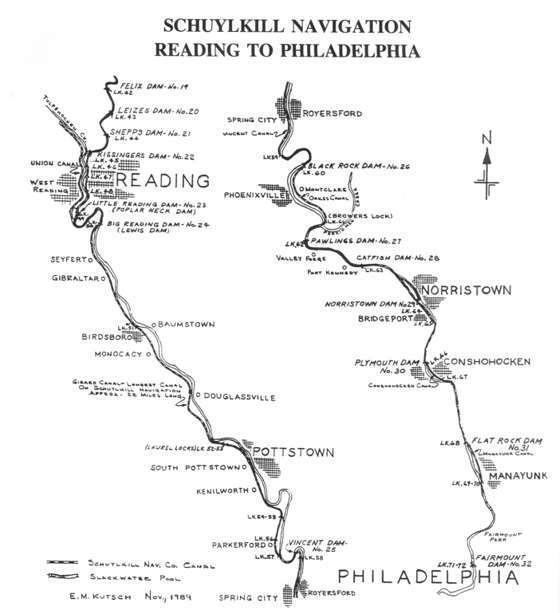 The Schuylkill Navigation: A Photographic History contains over 240 of the best photographs of the Schuylkill “ Canal ” [each with a detailed caption that is a mini-history lesson], a concise history of the Schuylkill Navigation Company, excerpts from the John Bowman memoirs, detailed maps of the route, and an extensive bibliography for those wishing to do more research. 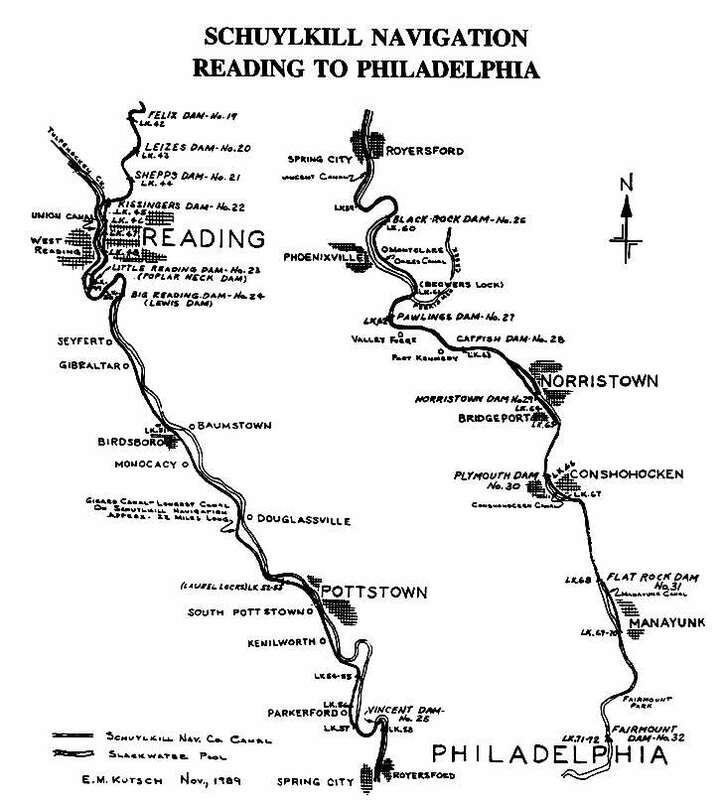 The book is a visual feast, a tribute to the professional amateur photographers who recorded the history of this important waterway--definitely, a must acquisition for every canal, railroad, Pennsylvania, Schuylkill River and regional history buff. The History of West Norriton Township, officially established in January 1730, is a very interesting book that is available at the West Norriton Township Office for $5.00. 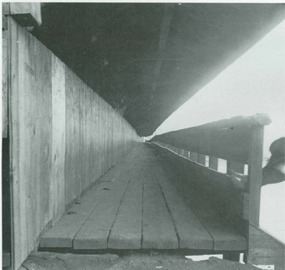 ( and BOTTOM: LEFT) A 3.13 mile pool separated the Vincent and Oak canals. 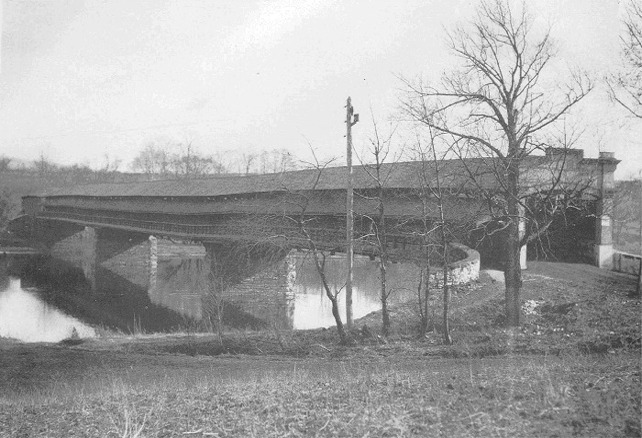 The canal towpath switched from the Chester County side of the Schuylkill River to the Montgomery County side in the horseshoe curve just north of Phoenixville and Monte Clare by utilizing a mule passage on the outside of the covered bridge (known on SNC maps as the Ferry No.4 Bridge) on Black Rock Road, fonnerly known as the State Road and now Route 113. 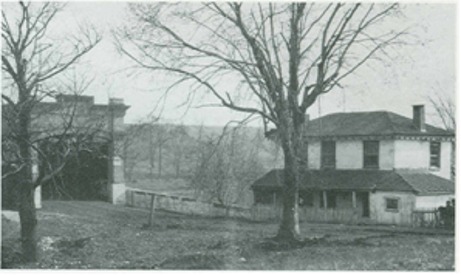 ( RIGHT/TOP) The toll collectors house was located on the Montgomery County side of the bridge. 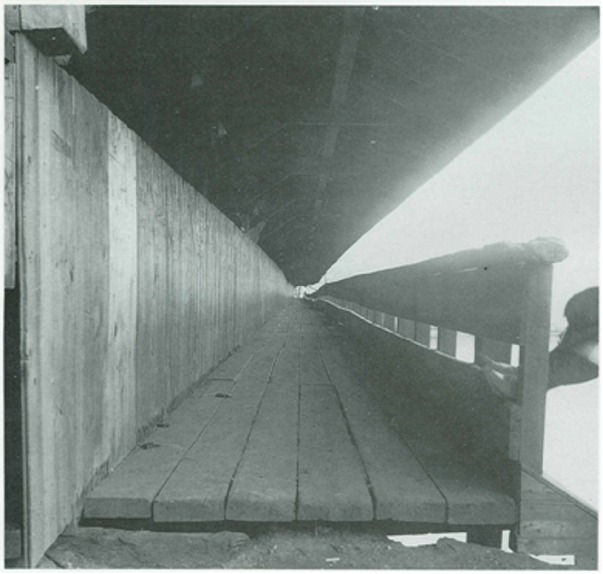 ( RIGHT/BOTTOM) The overgrown towpath indicates that this idyllic scene occurred during the SNC's declining years. 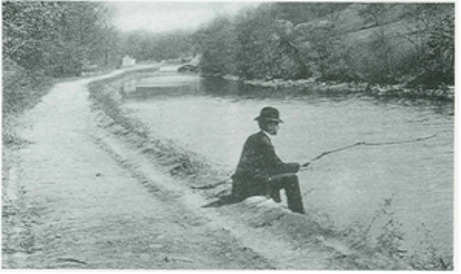 [NOTE: The Phoenixville Canal, a branch canal whose only lock was located adjacent to Dam 26 at Black Rock, was built on the Chester County side primarily to serve the needs of the Phoenix Iron Company's cotton mills located near Dayton and Nuge~t Streets in Phoenixville and the main foundry located at the junction of the French Creek with the Schuylkill River].